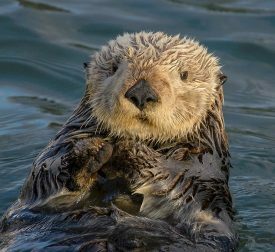 Sea Otters of Oregon: A Missing Keystone Species:- Monday, April 22, 2019 at 4:00 p.m.
D.B. Cooper & the Exploding Whale: Folk Heroes of the Northwest :- Thursday, April 25, 2019 at 4:00 p.m.
On Thursday, April 25 explore the history and legends that make Oregon unique. Acclaimed Oregon author and historian William L. Sullivan will take you on a journey through legendary northwest folk heroes from Sacajawea and D.B. 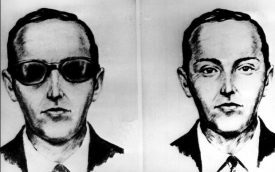 Cooper to Bigfoot. Expect entertaining and educational tales about the historical figures that helped define the spirit of the Pacific Northwest — as told by the author of the thriller, “The Case of D.B. Cooper’s Parachute”. Sullivan is an engaging lecturer who keeps attendees on the edge of their seats. You won’t want the lecture to end! This event is free and open to the public. Sullivan’s presentation will start at 4:00 p.m. Seating and parking is limited for this presentation, so arrive early and get a cup of coffee or tea. The doors will close at 4:15 p.m. While you’re at the museum, check out the latest exhibits on display there. On display in the event space is Language of Time the latest exhibit from local artist Stirling Gorsuch, in the temporary exhibit space is an exhibit about Oregon coast shipwrecks focusing on The USS Shark, The Glenesslin, The Peter Iredale, and the latest archaeological work related to the Beeswax Project. 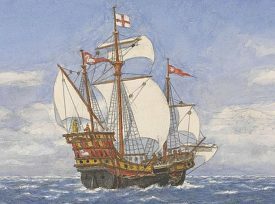 The Cannon Beach History Center & Museum hosts a series of off-season lectures on various topics from astrophysics to Sir Francis Drake. The museum is located in mid-town Cannon Beach and is a private non-profit they doesn’t receive city, federal or state funding. Admission to the museum is donation based because they believe history should be accessible to tall, no matter financial status. 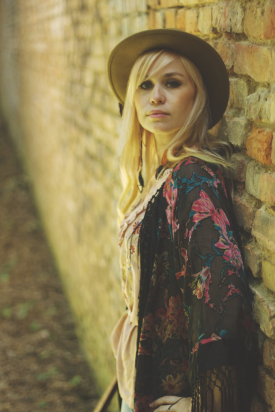 The Cannon Beach History Center & Museum is open Wednesday through Monday, from 11:00 a.m. until 4:00 p.m.
Sofia Talvik Folk Concert :- Thursday, June 13, 2018 at 7:00 p.m.
Haystack Rock: A Marine Reserve :- Thursday, June 20, 2019 at 4:00 p.m.
Haystack Rock. It’s that photogenic monolith surrounded by beautiful tide pools and home to many sea birds. With the popularity of drones growing, the Cannon Beach History Center & Museum has asked Haystack Rock Awareness Program Director, Melissa Keyser, to come talk about all things Haystack Rock. What is a marine reserve? How did this all get started? 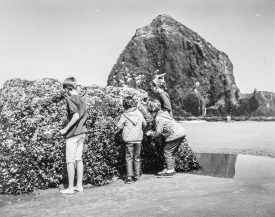 Keyser will walk us through what we need to know and all the fun facts related to Cannon Beach’s Haystack Rock on Thursday, June 20 at 4:00 p.m. The Haystack Rock Awareness Program was started in the 1980’s and has continued to protect the intertidal and bird ecology of Haystack Rock’s marine garden and Oregon Islands National Wildlife Refuge. Keyser has truly found her passion with the Haystack Rock Awareness Program. A love of the environment and our beautiful shores shine through everything she does. You won’t want to miss this talk as Keyser explores what it means to be a marine garden and wildlife refuge. Seating and parking for this presentation is limited. Arrive early to get a cup of tea or coffee. 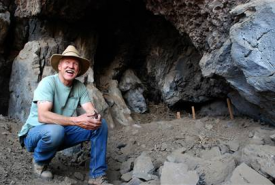 Doors close at 4:15 p.m.
Archaeology & Science at Paisley Caves :- Saturday, October 26, 2019 at 4:00 p.m. Seating and parking is limited for this presentation, so arrive early. The doors will close at 4:15 p.m. This event is free and open to the public. This event has been sponsored by The Inn at Arch Cape! How Did the Corps of Discovery Survive the North Coast Winter? :- Saturday, November 9, 2019 at 4:00 p.m.
Join us for our annual membership meeting on Saturday, November 9, 2019 at 4:00 p.m. The Cannon Beach History Center & Museum welcomes interpreter and historian, Tom Wilson. Tom Wilson, a retired elementary school teacher (30 years), began working at Lewis and Clark National Historical Park seasonally more than 20 years ago. After a great deal of research on the Lewis and Clark Expedition, he began giving talks, demonstrations, and presenting programs to students and visitors. Tom recently retired from the Park Service. During his time with the park, he participated in the park’s living history programs and has portrayed Corps members at events such as The Salt Makers Return, Clark’s Camp and Wintering Over. Tom portrayed William Clark in documentaries such as OPB’s Searching for York, as well as having been featured on Oregon Field Guide and Grant’s Getaways, and A Clatsop Winter Story produced by the National Park Service. Tom has conducted and/or helped with many tours along the Lewis and Clark Trail. 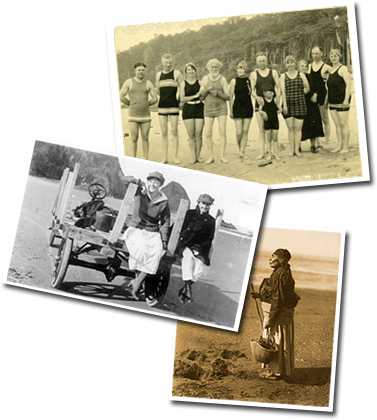 Among these were tours with Dr. Gary Moulton (editor of the Lewis and Clark Journals), Shore Excursions of America, and Road Scholar groups, as well as numerous talks and presentations throughout the Northwest. Join Lewis and Clark historian Tom Wilson, and discover how the Expedition survived the harsh North Coast winter. Learn how they established winter quarters, found food, made their clothing, how they were able to obtain salt to preserve meat for their homeward trek, and made the treacherous journey to present day Cannon Beach to obtain whale blubber and oil to add to their lean elk diet. 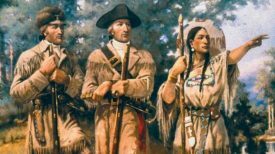 Dangerously low on food, provisions and trade goods, their leather leather clothing rotten from continuous rain, the Lewis and Clark Expedition had a number of critical decisions to make once they arrived at the mouth of the Columbia River. Not finding enough game to feed the 33 members and finding that the trade goods they had left was not sufficient to trade with the local natives for food, the Corps needed to find appropriate quarters as winter was approaching all too quickly. This event is free and open to the public. Seating for this event is limited, so arrive early. The doors will close at 4:15 p.m.